In 2009, a 14-year-old southern California resident suffered a traumatic brain injury that left him paralyzed from the chest down after he was involved in a bicycle accident. The boy had been riding without a helmet when he fell and hit his head. Doctors and family members were unsure whether the young boy would even survive, and yet, four years later, the now-18-year-old student managed to walk during his graduation ceremony. Through extensive rehabilitative care, intensive surgical procedures, and the unending support of his family, the student is able to surpass his doctors’ initial conclusion that he would never walk, talk, or eat again. In the coming years, he plans to go on to college, write a book, and become a motivational speaker. His sister hopes that by sharing his story, others will learn the importance of wearing a bicycle helmet. 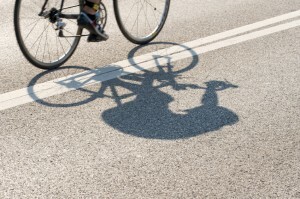 The aftermath of a bicycle accident, particularly if the victim was not wearing a helmet, can be catastrophic, both physically and financially. If you or a loved one has been injured as the result of a negligent motorist or by defective, hazardous road conditions, the at-fault party is liable for the damages they have caused, including costly medical bills, rehabilitative care, and even future loss of wages. At The Law Firm of Joseph H. Low IV, our experienced Santa Monica bicycle accident attorneys can help you understand your legal rights and guide you through the process of obtaining reimbursement for your losses. Contact us online or by calling (888) 454-5569 for a free and confidential consultation.